You can get the Cloudy with a Chance of Meatballs DVD for just $5 right now on Amazon! This is one of my kids favorite DVD’s and this is the Blue Ray DVD + the Regular Copy. $5 is a great price for a Combo Pack! I’m not sure how long this Price will last. This would make a great stocking stuffer! 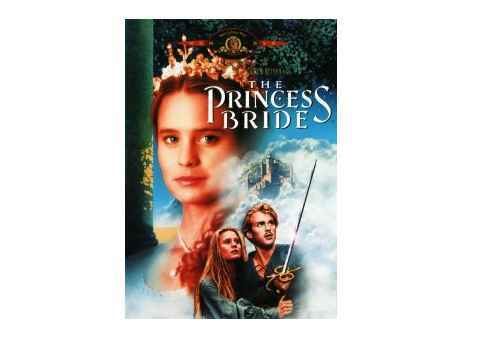 Another Favorite at our house, Get The Princess Bride DVD For just $4.99 right now on Amazon! Another great DVD to add to a stocking for someone you love! Also, don’t miss the Sale on Disney Junior DVD’s this week, You can get Doc McStuffins, Jake and the Neverland Pirates and Sophia DVDs for 45% off! Chalkboard Contact Paper $6 on Amazon! Kids Spiderman Watch just $2.15 + Free Shipping!